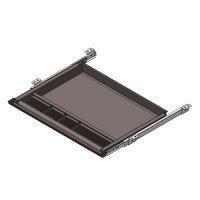 Keyboard drawer - Sallas Industrial Co., Ltd. This is an elegantly designed pull out drawer. The stationery drawer is perfect for organizing your desk top supplies. A large open area for storage of documentation.